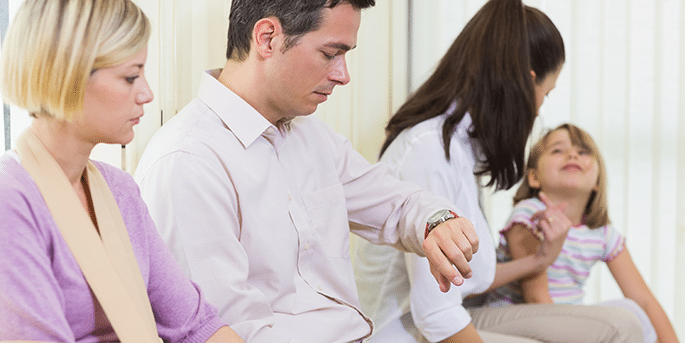 This can make the wait seem a lot longer, and a visit to the emergency room means a 30-minute wait on average, according to the Centers for Disease Control and Prevention (CDC). There is also a lot of waiting going on in other departments like radiology, maternity and occupational therapy. Family members who are accompanying or visiting patients spend a lot of time in hospitals and other health care facilities. And, unfortunately, a lot of that time is spent waiting. Fortunately, you can toss those old magazines aside as digital signage in health care is changing the nature of waiting. 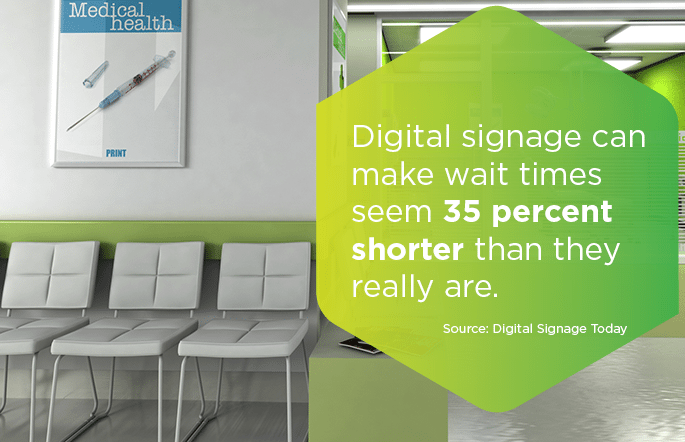 Digital signage can make wait times seem 35 percent shorter than they really are and benefits are apparent in a number of environments. In health care settings specifically, digital signage can provide a distraction and entertainment. They can also provide useful information. Visitors will often need information on where to find food, how to obtain certain services, and when relevant events are taking place. It can be a useful, non-intrusive presence. Give updates on wait times. Publicize awards and recognition to your facility and staff. Air patient recovery and success stories. Stream your organization’s social media accounts. Offer health and safety tips. Even with these benefits, some organizations are concerned with making the investment. Some information and facilities managers in the health care field worry about what content they will place on digital signage if they make the investment. Luckily, those managers have many options for content creation that can help handle what could be an endless stream of content. Some solutions include content management systems (CMS) and subscription services, while others don’t necessarily require software or third-party content. One of the best ways to manage a steady reel of content is to dedicate an internal team to develop it and curate it. The content could come from marketing material, social media and other departments that are willing to help out. This e-book walks you through what goes into developing a comprehensive digital signage solution.